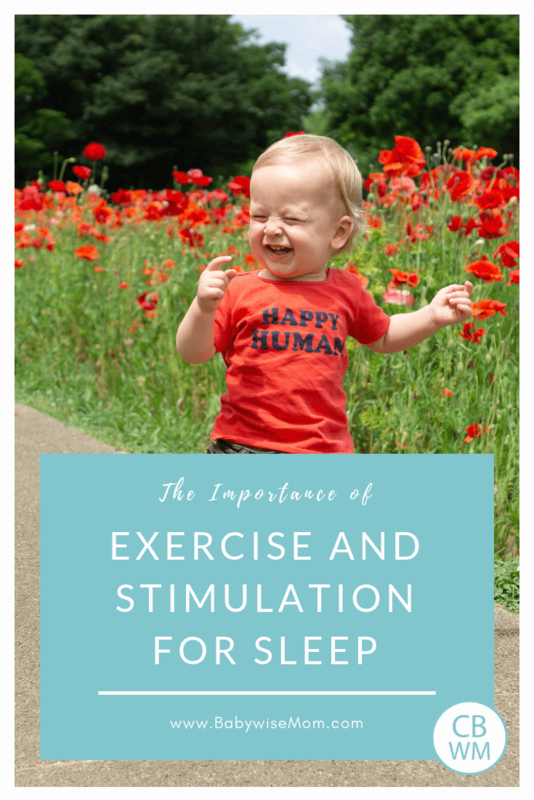 Importance of Exercise and Stimulation for your child’s sleep. If your child is not sleeping well, consider these factors. If your child is suddenly not sleeping well, two things to consider are activity level and stimulation. People sleep better if they have adequate physical activity in life. One thing Weissbluth mentions in Healthy Sleep Habits, Happy Child is if your baby stops sleeping well, evaluate physical activity. You might find sleep problems creeping up in the cold winter months or hot summer months. Perhaps you have a rainy season when you don’t go outside much. During these times, your child is likely to not get the exercise he needs each day. Tummy Time: For a baby, tummy time is a great little workout. Physical Activities: Your baby will constantly be working on some new physical milestone. Be sure to give her time and opportunity to practice these milestones, whether it be rolling, sitting, standing, crawling, or walking. Jumperoo: The jumperoo is a great item for providing exercise. I find McKenna will jump in it more when I stand in front of her and jump along. Brave the Weather: Find some way to squeeze some outside time in when you can. If the days are too hot, go out in the evening. If the days are cold, bundle up and make a snowman or shovel snow. You could go for a short walk. If the days are rainy, get out the rainboots and splash in the puddles. Indoor Exercise: You can come up with some ways to get exercise inside when you just can’t go outside. You can get a mini trampoline. You can dance to music. If you have hard floors, you can let your child ride a scoot along toy, scooter, or small bicycle. Practice hopping and rolling, play red light green light…just do what it takes to blow some steam. Indoor Activities: Take your child to the play place at the mall or the fast food restaurant. You can also see if there is a gym or something you can go to with large areas to run and play. Organized Activities: They have mommy and me classes and other indoor activities you can sign up for. Add to it: A Preschooler and older is able to do more physically than a toddler: Somersaults, hopping on one foot, etc. Organized Sports: Once your child is old enough, you can get involved in organized sports. Indoor basketball, indoor swim lessons, dance lessons, etc. Stimulation is also an important factor on your child’s sleep. The brain needs to be exercised just like the body. You do want to be cautious to avoid overstimulation. See posts linked below. But you also need to make sure there is enough stimulation (isn’t parenting fun? 🙂 ). For many parents, they rarely have too little stimulation for their baby. I never ran into this personally until I had McKenna. I was very cautions with her stimulation levels. As she got older, I started to see that I needed to add stimulation to her waketime. For an older child, lack of stimulation can happen quite easily. This would be lack of brain-exercising stimulation. This happens when the child spends too much time in front of the television. This doesn’t work the brain. Some time is fine, but you don’t want too much. Learning time each day is fun for your child, but simply playing with toys and using the imagination provides a workout. You don’t want too much non-interactive activities. You don’t want abosorption learning, you want interactive learning. 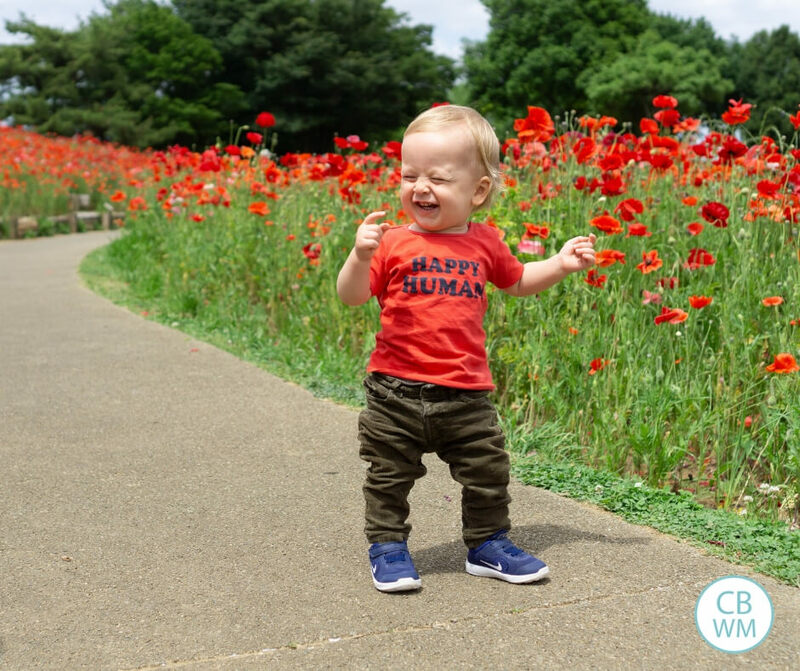 all have tons of ideas for things to do with your child, including rainy day play. The Sibling’s Busy Book even has stuff for babies. There is also the Children’s Learning Activities blog. These resources all have ideas for keeping your child physically and mentally challenged throughout the entire year. Thanks so much for this post. You either read my mind or the last comment I posted! I think this is part of the problem I've been having with my son's inability to fall asleep at night. He doesn't cry, he just lays there awake for over an hour. Then he wakes up tired the next morning. I hate the cold and have just realized that we have been spending way too much time indoors. We don't usually watch tv, but we do a lot of coloring playing with blocks and trucks. I just need to dress warmer and brave the cold! Thanks for such a timely answer! Janelle, you are welcome! I hope it is working out! Amanda, It might have been normal fussiness. 6 weeks is the peak for fussiness for babies. 6 weeks is a growth spurt age. Whenever you suspect growth spurt, feed. I know it is scary and you worry that you will ruin what you have, but you won't. Baby will go back to normal after the growth spurt. If you fight it, it will ruin what you have built. Baby needs that extra food when she needs it. I always treated early waking with McKenna as a growth spurt, and she was overall my best sleeper. Good luck!